I'm very proud to present you my personal user interface. As you can see it is based on the Caith UI. and its optimized for DPS and Tank Spec. because I don't play heal classes very often. You have to download VuhDu-AddOn by your own! Thanks a lot to Caith, since the first time I've used your UI I wanted to create an UI by myself someday. After all the years I finally was able to recreate your awesome interface. 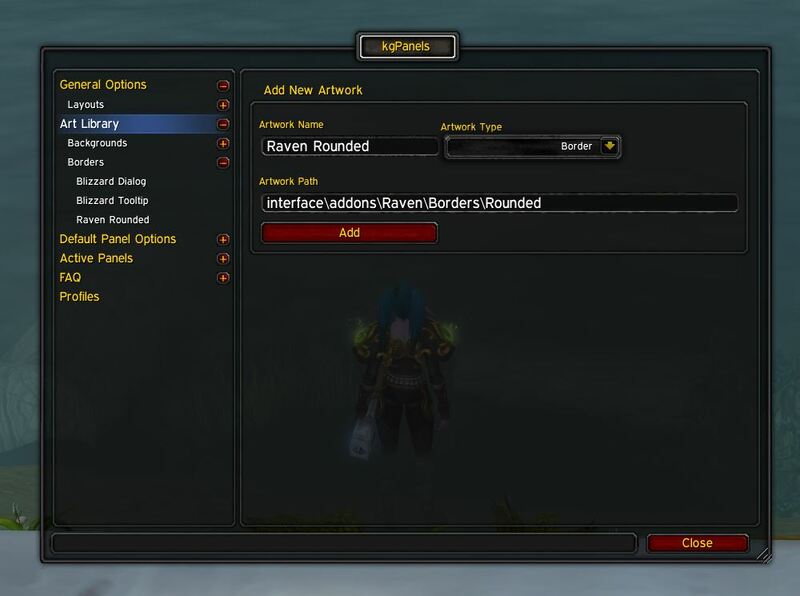 Also thanks to the addOn authors out there, you guys are awesome! - In the previous releases my custom profiles for BigWigs, kuiNamePlates and MoveAnything wasn't loaded by Reflux. Enough time yet? Haha waiting for this update!! This is what I did too! But will also try to push an update today. Last edited by Aur0r4 : 03-25-19 at 08:26 AM. Had to reinstall my PC. Reinstalled 7.6 and then updated the outdated add-ons with the Twitch client. Facing 0 errors and problems. Any update coming soon to fix things in 8.1.5? Re: May is ask support for Chinese client? May is ask support for Chinese client? OMG! I love you. I will try this out asap. Still using this, modified it a little to meet my needs. Bigger chat window, XP, rep ect, bar under the minimap. But I found a small fix for the login chat output for KGPanels. Under Art Library, fill in like the screenshot, and press add. Now when you login no longer a whole bunch of chat stuff. how do i uncheck skip cinematic? You can change the font-size if you want so. Else you have to resize the kgpanels for the Chat-Window (/kgpanels config). It is not that hard. is there a way to make the chat box and frame bigger also will there be a details profile?